The New Palestine golf team won its final regular season match, beating Rushville 172-227 at Hawk’s Tail. The Dragons honored seniors Mackenzi Black and Regina Olsen before the match. Black and Annaliese Fox shared medlaist honors with 36s. Izzy Gray shot a 47. 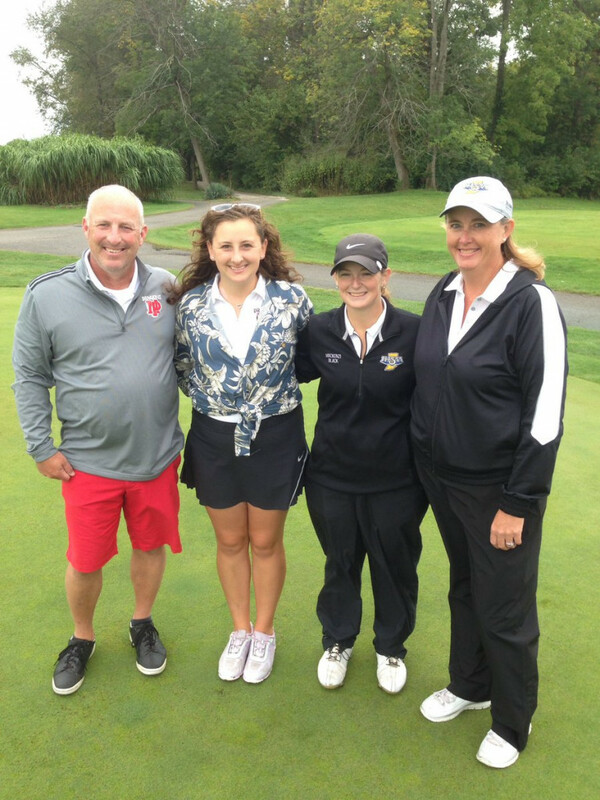 Rachel Purnell had the Dragons’ fourth score with a 52, while Olsen shot 53. The Dragons finish the regular season with a 13-3 record. They next play in Saturday’s sectional at Old Oakland. Seniors Regina Olsen and Mackenzi Black with NPHS coaches Gregg Greene and Sarah O’Brien.